KIEV, Ukraine -- Those gathered on the Maidan square in Kiev a year and a half ago wanted oligarchs to go, blaming them for some of Ukraine's worst ailments, but it is better to be careful what you wish for. Some of the superrich, who made fortunes before the February 2014 coup, retained their position in the new Ukraine, because the new leadership needed all allies it could find to fight the independence supporters in the east of the country, the Frankfurter Allgemeine Zeitung reported. The alliance between the Kiev authorities and the oligarchs "lost its binding power" when the situation in the east of the country became relatively calm, the Poroshenko administration and those close to him remained in power and the Western countries started to pour in money to save the economy. "In Ukraine, the oligarchs fall like autumn leaves: not all at once, not in one dramatic descent into hell, but individually, slowly, sliding," Konrad Schuller said, evoking poetic imagery in his article "The Power of the Billionaires." Igor Kolomoisky, described by his friends as "the most brutal among the many brutal men of Ukrainian big business" according to Schuller, was the first to go. In March, President Petro Poroshenko dismissed the billionaire, who served as the governor of the Dnipropetrovsk Region. In late spring, the president removed Kolomoisky's ally, Igor Palytsia from the post of the Odessa governor. This position is currently held by former Georgian President Mikheil Saakashvili, an ally of Poroshenko's. Gas tycoon Dmytro Firtash and Rinat Akhmetov, a coal and steel magnate, have also fallen out of favor. Firtash's key person in the power structures Valentyn Nalyvaichenko was dismissed as the head of the Security Service of Ukraine. Coal mines and still mills belonging to Akhmetov were destroyed in the shelling and the billionaire is "only a shadow of himself," Schuller said. 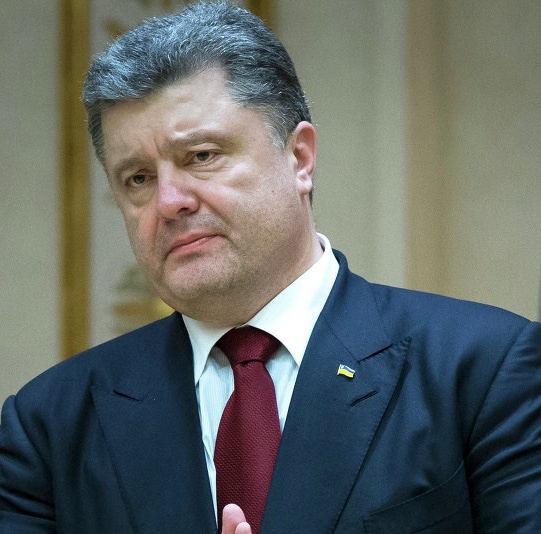 There is a silver lining at least for one former multimillionaire, who is at the apex of his career now – Ukraine's President Petro Poroshenko. The man with an estimated wealth of $1.3 billion and an array of businesses has not fulfilled his major pre-election promise. After more than a year in office he still has not sold his assets, including the Roshen Confectionery Corporation. Member of the Ukrainian parliament Viktoriia Voitsitska from the Self Reliance party believes that a new group of oligarchs is forming around Poroshenko. They intend to seize Ukraine's energy market, according to Schuller. Minister of Energy and Coal Industry Volodymyr Demchyshyn, Valeriia Hontareva, who heads the National Bank of Ukraine, and Dmytro Vovk, the head of the National Commission for State Energy and Public Utilities Regulation are the key members of the president's entourage. All of them are linked to the Investment Capital Ukraine (ICU). Along with Rothschild CIS, the ICU is tasked with selling Poroshenko's assets, the German newspaper reported. These are by far not the only vices plaguing Ukraine. Unlawful privatization and questionable tenders help certain oligarchs' get richer. State assets are sold so fast, Western investors have no time to assess whether they are lucrative or not. The only ones, able to purchase profitable properties are members of Poroshenko's inner circle, Schuller concluded.